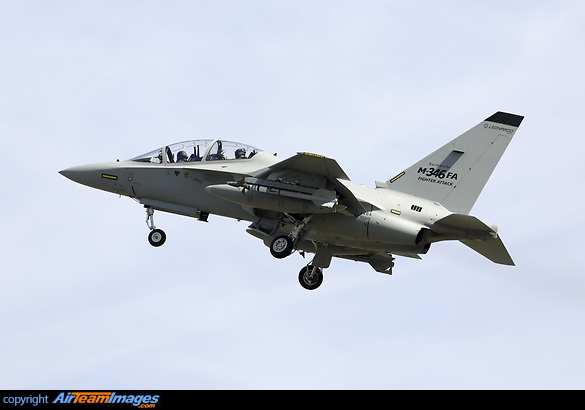 Aermacchi M-346 is the latest generation of advanced trainer with avionics to replicate those found in current front line fighters. With fly by wire technology and twin engines the M-346 is one of the leading aircraft in its field. Currently heavily engaged in flight and systems testing prior to attaining certification. 2 x Honeywell F124 (6300 lbf) turbofan engines. Guns, bombs, rockets and missiles can be carried on 9 external hard points.